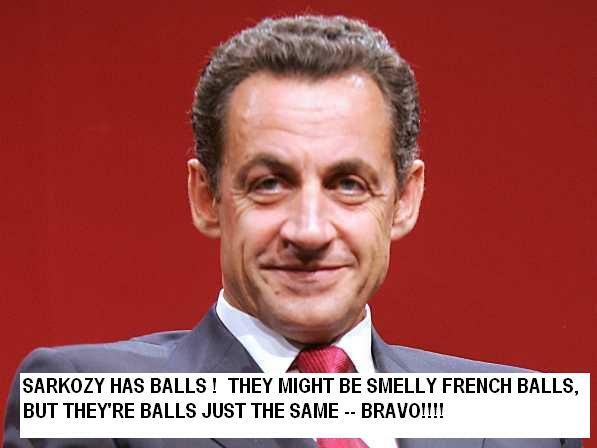 France: Anger as Sarkozy Says Gypsies Pose Crime Problem – DUH! 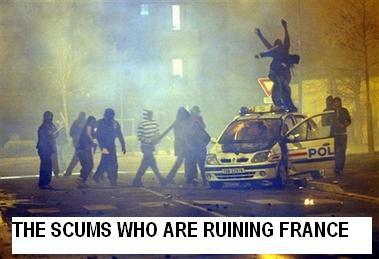 Home → Damien Zone → France: Anger as Sarkozy Says Gypsies Pose Crime Problem – DUH! France is getting what it deserves but oddly French President Sarkozy is not — he’s the good guy. During his rise to and occupancy of the French presidency, Nicolas Sarkozy has regularly announced new law-and-order offensives in the hopes of stoking support among the majority of French voters who say they’re scared of crime. Typically, those policies have taken aim at Sarkozy’s preferred target: the banlieues, the troubled suburban housing projects that ring most French cities and are populated by a disproportionately high number of minorities. (The French equivalent of Detroit). Though divisive, the policies have usually worked. CAN THIS GUY BE PRESIDENT OF THE UNITED STATES, PLEASE!!!!! Those comments came after a weekend of violence in central France, when young men (Gypsies) from a community of travelers,(same as Gypsie) enraged at the July 16 shooting of one of their peers by a policeman, rioted through the sleepy village of Saint-Aignan, south of Blois. For two days after 22-year-old Luigi Duquenet was fatally shot while a car he was in charged a police roadblock and allegedly hit an officer, around 50 youths from Duquenet’s encampment attacked the Saint-Aignan gendarme station with metal bars and axes and also destroyed small local businesses, burned cars and damaged public property <—-SAVAGES OR SAUVAGE AS THEY SAY IN TARGET (TAR-JAY). ZSA ZSA GABOR DIES -- ALMOST. VEGAS ODDS AT 2-1.